Hope you have a lovely long weekend. 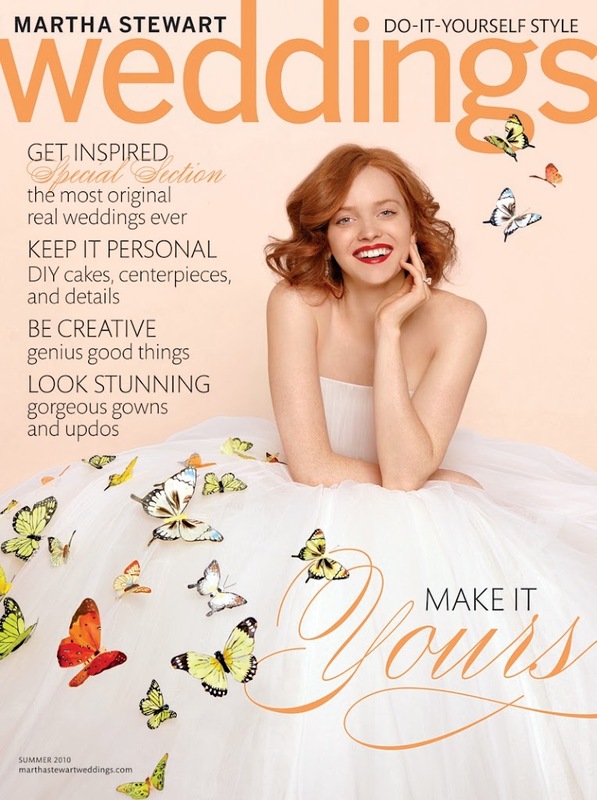 And don't forget to pick up the summer issue of Martha Stewart Weddings on newsstands May 31st! I'll be reading mine on the way to NYC for the big J. Crew Bridal Salon unveil and a few other happening wedding events. Next week - dispatches from NYC - so excited, I cannot wait! A few lovely links to tide you over til next week . . .
Will this pretty be at the J.Crew Bridal Salon? Image via Martha Stewart Weddings. Love this cover. The dress is beautiful and I have always been a fan of butterflies. Have a great weekend. Love the butterflies...they give such a happy feeling. 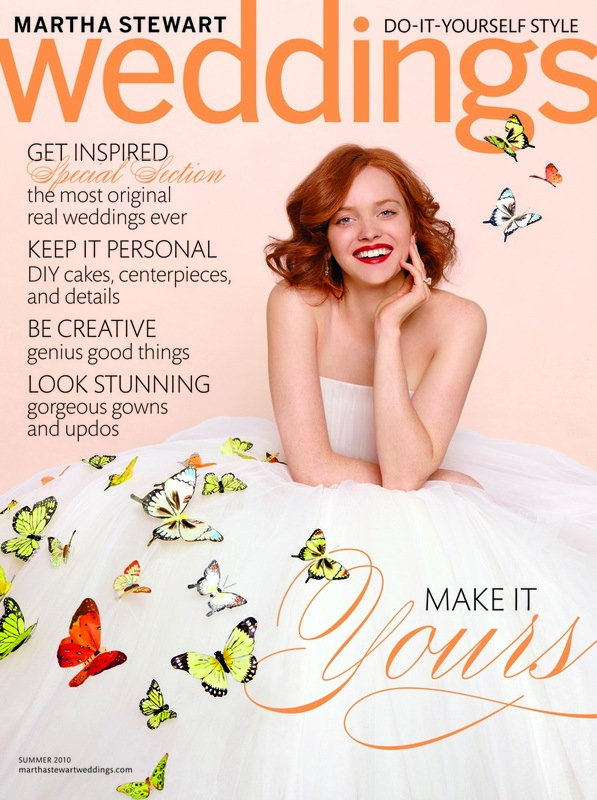 I love the idea of butterflies on the dress!